[SatNews] NASA and its industry partners today conducted a successful test firing of the new, five-segment solid rocket booster for the Space Launch System (SLS), the new U.S. launch system that will take astronauts beyond low Earth orbit. During the test, in Promontory, Utah, the new rocket booster generated full thrust for two minutes, creating a 5,000 degree fahrenheit plume, simulating and testing the rocket's performance, paving the way for future flights of the SLS system. "Today's test flight marks another successful milestone in the U.S. effort to return humans to the exploration of space, beyond low Earth orbit," said Space Foundation CEO Elliot Pulham. "It's been nearly four years since a solid rocket booster was used on the last flight of the space shuttle, and seeing this new, more-capable SRB at work is an exciting development," Pulham said. "Coming on the heels of December's successful test flight of the Orion spacecraft, today's test demonstrates a determined and, thus far, successful march forward in human space exploration," said Pulham. "Congratulations to NASA, Orbital ATK and the entire SLS team." The booster fired for two minutes, the same amount of time it will fire when it lifts the SLS off the launch pad, and produced about 3.6 million pounds of thrust. 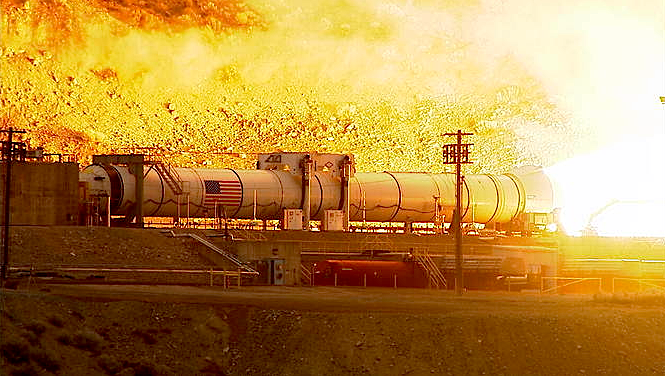 The test was conducted at the Promontory, Utah test facility of commercial partner Orbital ATK, and is one of two tests planned to qualify the booster for flight. Once qualified, the flight booster hardware will be ready for shipment to NASA’s Kennedy Space Center in Florida for the first SLS flight. "The work being done around the country today to build SLS is laying a solid foundation for future exploration missions, and these missions will enable us to pioneer far into the solar system," said William Gerstenmaier, NASA’s associate administrator for human exploration and operations. 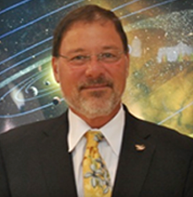 "The teams are doing tremendous work to develop what will be a national asset for human exploration and potential science missions." It took months to heat the 1.6 million pound booster to 90 degrees Fahrenheit to verify its performance at the highest end of the booster’s accepted propellant temperature range. A cold-temperature test, at a target of 40 degrees Fahrenheit, the low end of the propellant temperature range, is planned for early 2016. These two tests will provide a full range of data for analytical models that inform how the booster performs. During the test, temperatures inside the booster reached more than 5,600 degrees. "This test is a significant milestone for SLS and follows years of development," said Todd May, SLS program manager. "Our partnership with Orbital ATK and more than 500 suppliers across the country is keeping us on the path to building the most powerful rocket in the world." During the test, more than 531 instrumentation channels on the booster were measured to help assess some 102 design objectives. The test also demonstrated the booster meets applicable ballistic performance requirements, such as thrust and pressure. Other objectives included data gathering on vital motor upgrades, such as the new internal motor insulation and liner and an improved nozzle design. When completed, two five-segment boosters and four RS-25 main engines will power the SLS on deep space missions. The 177-feet-long solid rocket boosters operate in parallel with the main engines for the first two minutes of flight. They provide more than 75 percent of the thrust needed for the rocket to escape the gravitational pull of the Earth. 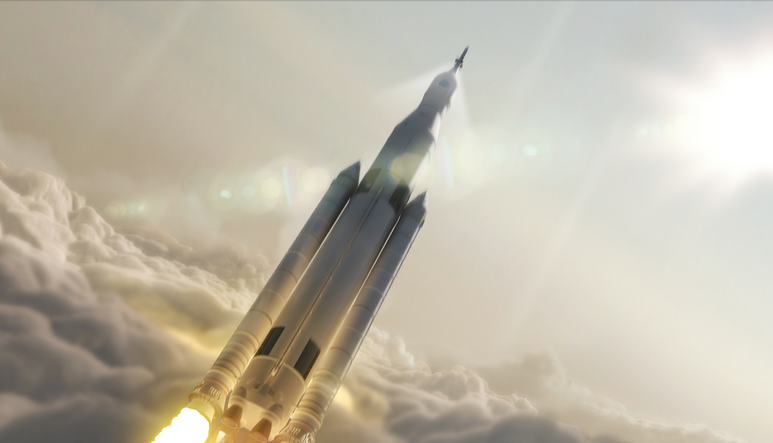 The first flight test of SLS will be configured for a 70-metric-ton (77-ton) lift capacity and carry an uncrewed Orion spacecraft beyond low-Earth orbit to test the performance of the integrated system. The SLS will later be configured to provide an unprecedented lift capability of 130 metric tons (143 tons) to enable missions farther into our solar system.